On February 13th, comments are due to the Federal Energy Regulatory Commission on the Jordan Cove LNG project. 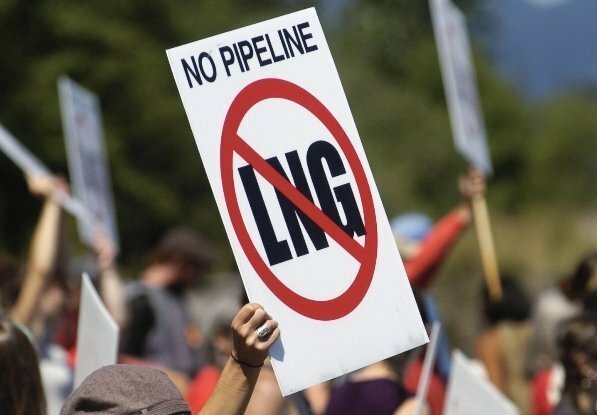 The potentially catastrophic project includes both a pipeline and a terminal for the purpose of transporting fracked natural gas and liquefying it for export to Asia. Similar to other proposals to transport gas and coal for the purposes of export, this project refuses to consider the impacts it will have on climate change, which now stands between us, and a livable future. We’re living in an age of returns and firsts. Just recently, photos confirmed the presence of an extremely rare Sierra Nevada red fox in Yosemite National Park. There have been no sightings of the elusive creature there for ninety-nine years. And closer to home, we learned of activity of what appears to be another one or two wolves near Crater Lake, in addition to the burgeoning Rogue Pack. I never thought I would be able to speak of Western Oregon wolves, and yet here they are, pups and all. But as this encouraging story unfolds, we make plans for pipelines and exports that will guarantee a future governed by catastrophic climate change. That future has no room for recovering species. This, as the EPA announces Canadian tar sands will only be developed if the Keystone pipeline is built, now that oil prices have dropped. While the Keystone pipeline may soon be a receding threat, the more local Jordan Cove project is a wholly different beast. The project would assure the export of inefficient fracked natural gas for decades to come, and once the Boardman coal plant shuts down, it will be Oregon’s biggest polluter. This doesn’t even factor in the emissions associated with obtaining the natural gas, nor does it consider the burning of the gas by its consumers in Asia. And yet, Oregon moves closer and closer to the LNG terminal. We have not even begun to ask what a future with the project might look like. If an accident were to happen with this project, say a spill, we taxpayers would likely be forced to help foot the cleanup bill, as the history of corporate settlements shows (corporations forced to pay punitive damages often deduct their settlement costs from their taxes). The Jordon Cove LNG project is a disaster we can’t afford on a number of levels. It’s foolish to think we can both recover species and build the natural gas pipeline. Will we choose the path to recovery and growth, returns and firsts? Or will we choose the path of negligence and loss? Help us show the Federal Energy Regulatory Commission we stand on the right side of history, that we respect other species, and are not working in opposition to them. We have not spent countless hours and resources building a narrative with a future, only to wash it away so a Canadian corporation can make a profit at our expense and the expense of OR-7 and the Rogue pack, the wolverine, and the remaining ancient carbon-storing forests of the Pacific Northwest. Now is the time to submit our comments; we have until noon on Friday the 13th for online comments or postmarked mailed comments. If you haven’t already done so, you can submit your comments beginning here. More information on the pipeline can be found here. 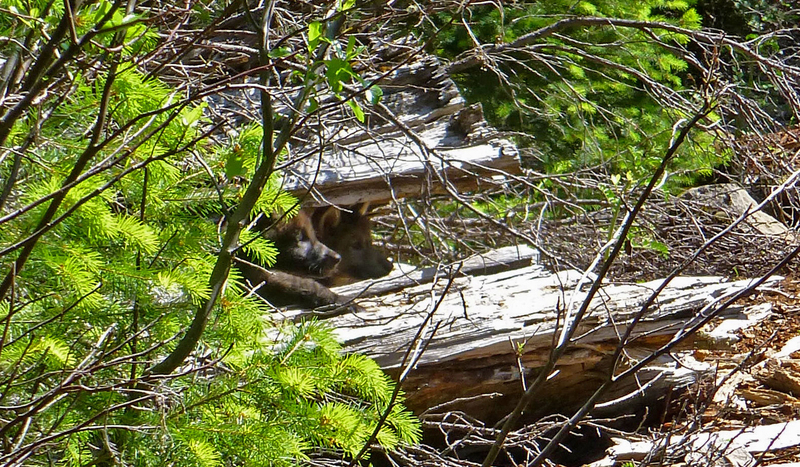 Photo Credits: Top left, Two pups from the Rogue Pack, June 2014. (Photo by ODFW). Bottom right, No LNG protest. (Photo courtesy Francis Eatherington).